The year was 1978. Grease was lighting up box offices across the country. Roller skating rinks were all the rave. 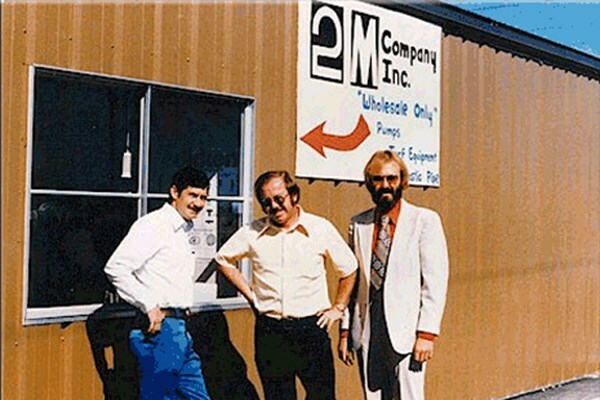 And in the month of June, 2M Company was founded in Billings, MT by Bill Mills and Chester Majors (the two "M’s"). Bill managed a water well wholesale supplier and Chester was a factory representative for a major agricultural irrigation manufacturer. Bill and Chester had grown tired of working for companies that only thought about the bottom line. They were driven to prove a company could be successful while having fun and giving back to the people who make a business a success: the customer. 2M Company was founded on one principal: the customer always comes first. From this principal the philosophy of providing "Legendary Service" was formed and it is now the foundation and motto of the entire company. Since that fateful summer of ’78, 2M Company has grown to accommodate the demand for its products, philosophy and services. 2M Company has expanded over the years in Montana, Idaho, Colorado, New Mexico, Arizona, Oregon, Washington, and Texas. In 2017, Headwater Companies acquired 2M Company along with other water-related wholesale distributors. Together, they now cover the entire United States with nearly 60 locations and make up the largest water well distribution company in the U.S.
2M Company employs over 150 people in 15 locations, and we are always looking for new and innovative ways to provide value to our customers. We invite you to discover what it means to receive “Legendary Service” from 2M Company!